We are proud to share our selection of high quality Ceramic Funeral Urns. 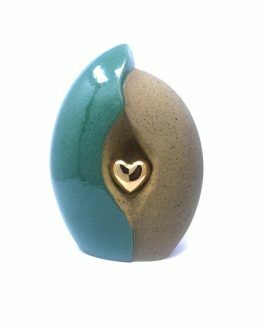 Our stunning range of Ceramic memorials are handcrafted by the most talented craftsman. Our designs are unique and elegant; reminiscent of modern sculpture rather than traditional Urns. Some of our Urns feature LED lights inside to make these Ceramic urns even more visible and unique. There is something special in a range for every taste; Our best products feature different forms of heart fitted in a shell. 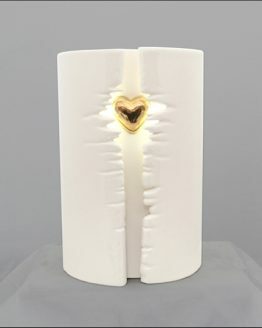 These beautiful Urns feature a gold-coloured heart and are beautifully packaged with a tube of glue to seal the base once the ashes are inside. We can also offer keepsakes in exactly the same shape and colour as the urn. The containers for Ashes can be engraved according to your wishes. 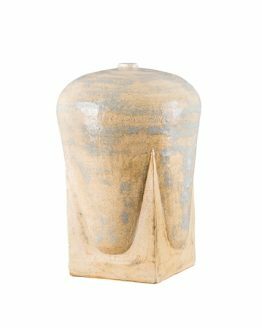 Visit our online shop for Ceramic Urns to find something special.